Design your own rolling workstation cart with the ZIOTEK mobile computer post system. Choose the wheels, poles, LCD mounts and computer holders that meet your needs. 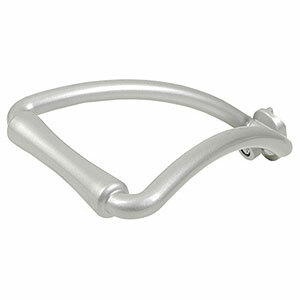 This aluminum handle makes maneuvering your workstation cart super-easy. It can also be fastened and removed anywhere on the post without removing other components. Post not included.